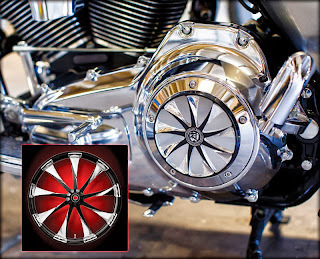 RENEGADE Wheels has expanded its product line with the introduction of Derby covers in designs that match its wheels. Renegade Derby covers are engineered in a stunning two-piece design to allow customers to mix and match finishes. The two pieces are the Derby base and the Derby cover and both are machined from T6061 aluminum. The base is available in chrome or phantom black anodized, and the cover is offered in matching Renegade Wheels designs in both chrome and Phantom-Cut.